Buenrostro admitted to accepting bribes and gifts from Alfred Villalobos, a placement agent who helped hedge funds and other investment groups win CalPERS business. Buenrostro said Villalobos would deliver much of the money in paper bags and shoe boxes at the Hyatt Hotel across from the Capitol in Sacramento. Villalobos, who served as a CalPERS board member from 1993 to 1995, earned about $50 million between 2005 and 2009 by working as a middleman between CalPERS and private equity clients. Prosecutors charged Buenrostro and Villalobos with conspiring to create phony documents that helped Wall Street equity firm Apollo Management land a $3 billion CalPERS investment deal. In 2014, Buenrostro pleaded guilty to fraud and bribery charges. Last year, Villalobos was just weeks away from standing trial when he killed himself in Reno, Nevada. Buenrostro has agreed to repay the state $250,000. 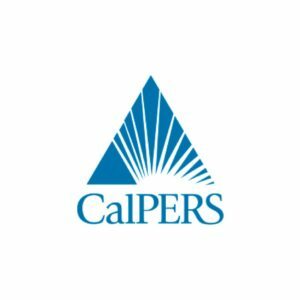 CalPERS is the nation’s largest public pension fund with about $290 billion in assets. The pension fund manages retirement and health benefits for many government workers in SLO County. Public sector unions should be illegal….. enough already. Private sector pays for it. Then they eat their own and the private sector pays for it again. It’s the circle of life among regressives until the money runs out. Gov’t employee union. Lot to hate there.